stayin’ alive | I Sing Because I'm Free! ah, ha, ha, ha stayin’ alive! Now, I could have been TOTALLY offended, but instead I laughed. Both of my girls crack me up. They are becoming more teenager-ish by the hour. 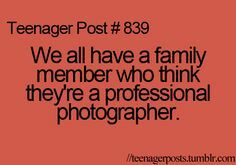 I actually did LOL at that one…because I do LOVE taking pictures! Of practically everything! So, maybe I’m not a “professional” photographer- but while I may not make a single cent, I am paid in full in the joy it brings me to capture beautiful things and moments on camera! Just the other day I was looking at pictures on my phone and happened to scroll through over a year’s worth of pictures, and I was so grateful for every single moment I was reminded of. Even my youngest daughter’s numerous crazy selfies brought a smile to my face! And you know what is so special about looking back at all the pictures we take? It’s not about how we looked in them, or where they were… it’s about who we were with and how we felt during those moments. And these flowers, well they are going in the trash soon…but when I see these rose pics I will remember the love I felt for my hubby as he ran up the stairs to surprise me that morning last week. Priceless! So whatever hobbies bring you joy- even if you aren’t the greatest at it- keep on doing what you love! “I bet you’re singing that song now” YEP! Thank you Julie – this is beautiful! Beautiful, Julie…and Happy Anniversary!! Hope all is super!